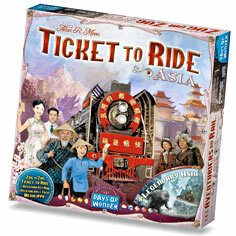 This entry was posted on Tuesday, February 21st, 2012 at 23:58 and is filed under Ticket to Ride. You can follow any responses to this entry through the RSS 2.0 feed. Both comments and pings are currently closed. When can we expect these new expansions on the iOS TTR? I love them in real life but cannot wait until I can play while out for dinner.